In the hospitality industry, where restaurants open and close quicker than you can say “under new management”, consistency is one of the most valuable commodities. 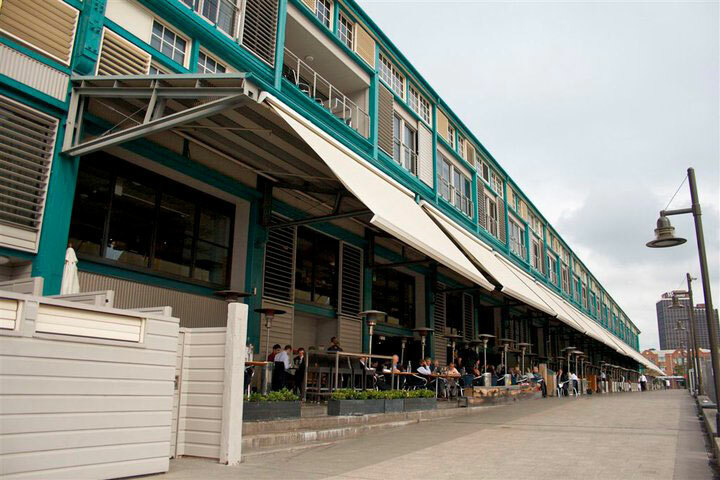 Kingsleys Steak and Crabhouse, at Woolloomooloo Wharf, is one of the most reliable restaurants in Sydney. Night after night, meal after meal, Kingsleys delivers impressive food, great service and all in one stunning location. Don’t be perturbed by the restaurant’s name, Kingsleys is a far cry from your classic two fisted steakhouse. Boasting a formal fine-dining restaurant setting, spread over two levels, the tables on the ground-level wharf are one of the restaurant’s most prized assets. Booked out almost every weekend, a wharf table at Kingsleys gives diners an uninterrupted 180 degree view of the city’s skyline and Sydney Harbour. The perfect destination for impressing tourists and out-of-towners. It goes without saying that this meaty mecca certainly gives carnivores a cause for rejoicing, however Kingsleys Steak and Crabhouse impresses equally in the seafood department. 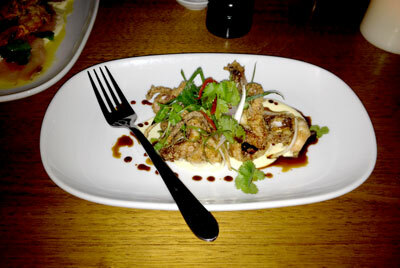 An entree of salt and pepper baby octopus is crispy and tender, served with a sweet balsamic glaze that brings the dish together. A ceviche of wild kingfish, offers an interesting textual experience that is offset by crunchy prawns and a housemade mayonnaise. And while Kingsley’s is renowned for its sumptuous serves of QLD chilli mud crab, there was no way I was going past a 400 gram aged rib on the bone. Because, we must remember, rather than being just your average steakhouse, Kingsley’s is, in fact, THE steakhouse. With nothing else on the plate, the aged rib was served as is, without a piece of shrubbery to taint its meaty goodness. Initially questioning how I would get through such a large slab of meat, the aged rib was quietly devoured and all that was left on the plate was a meat-less bone. Kingsley’s Steak and Crabhouse is a timeless and reliable gem.